Well, this is a surprise! We already knew a a physical edition of Hollow Knight will be coming to the PlayStation 4, but that it will not be arriving until spring 2019. If you don’t want to wait until then, however, you’re in luck! Team Cherry has announced the Metroidvania hit will be making its way to the PlayStation Store on September 25, 2018. 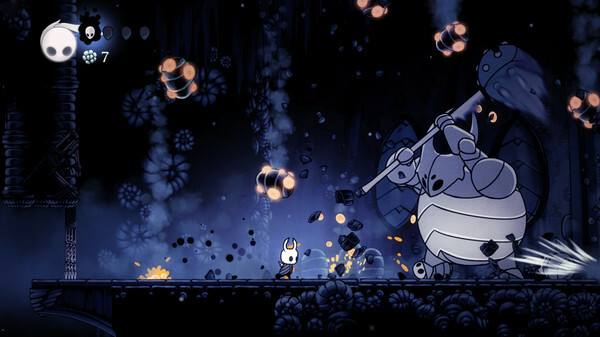 It’s not your standard version of Hollow Knight coming to the PS4, either. PS4 owners can get their (digital) hands on the Hollow Knight: Voidheart Edition. It includes the base game, along with four expansions. Those will bring new items, boss battles, abilities, and more. The expansions were all stretch goals for the game’s Kickstarter campaign. While the PlayStation 4 may be late to the Hollow Knight scene, it will be getting the complete experience, which is more than enough compensation. Australian studio Shark Jump is handling the port. Hollow Knight: Voidheart Edition will be releasing on the PS4 on September 25, 2018. PlayStation Plus members can even get a 20% discount if they preorder.